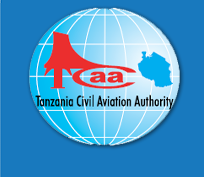 It has came to the attention of Tanzania Civil Aviation Authority (TCAA), that Tanzania Aviation University College (TAUC) located at Tabata Dare s salaam, which is approved by TCAA to offer Flight Operations Officers/Flight Dispatcher(FOO) training has been advertising that it also offers Private Pilot License(PPL) training, which is not the case. The issue came to the Authority attention following an inspection carried out to the collage. The Authority has since communicated this concern to the training institution, which has responded by removing the advert from its website. Notice is hereby given to general public, that Tanzania Aviation University College (TAUC) has not been approved to offer Private Pilot License (PPL) training as it has apparently been advertised in TAUC official website. Members of the General Public are advised to take diligent measures to avoid inconveniencies.